Wet shaving is an art: your tools should be artistic, too. 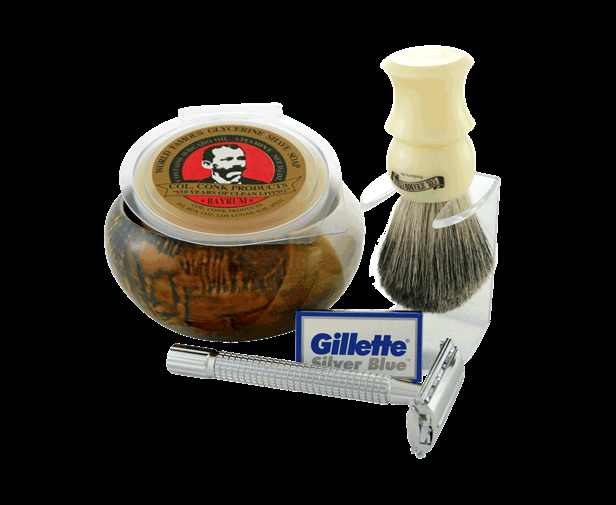 Inspired by the world famous artist colony in New Mexico, the 5 piece Taos Double Edge Shave Set features a unique handcrafted Shave bowl. --One pack of Gillette Silver Blue blades.